WE COULD TELL YOU ABOUT OUR CLIENTS’ GREAT SUCCESS STORIES, BUT WHY NOT LET OUR WORK SPEAK FOR ITSELF. The Sommers Real Estate Group has been providing real estate advisory services on a vast range of projects for over 30+ years. Our extensive experience and innovative full circle approach enables us to assist our clients in meeting ALL of their business objectives. 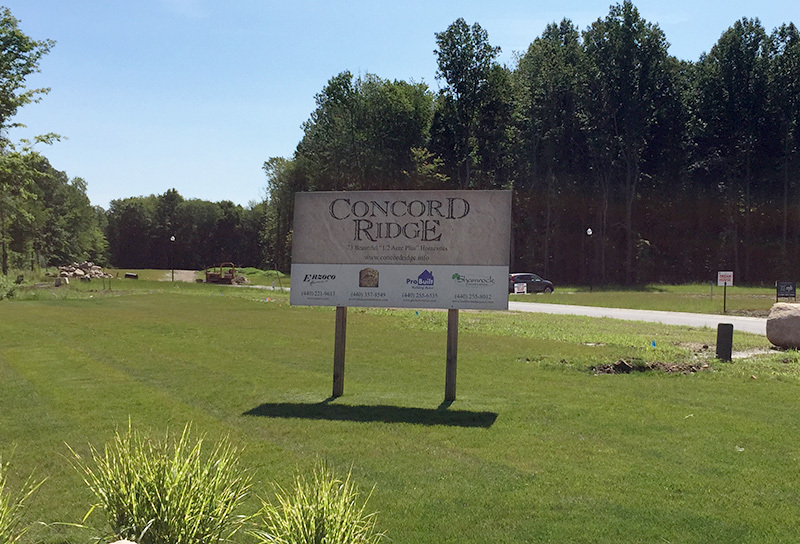 With over 50+ acres of preserved heavily wooded natural green space and a strong emphasis on preserving the existing natural landscape, Concord Ridge is one of the most attractive new residential communities in Northeast Ohio. The Sommers Real Estate Group worked closely with Concord Township to strategically and successfully re-zone the property prior to development. The re-zoning process was completed in a time efficient manner and Concord Township was satisfied with the final development plans. We established a positive relationship with constant communication with The Township zoning, planning, engineering, and utilities departments as well as widespread positive feedback from the community and surrounding property owners. The final design and re-zoning process was completed in an efficient manner and included the preservation of our 50+ acres of wooded green space. Our experience, key relationships, and advanced planning allowed for the process to be completed. The community reception was also very positive. One of our key focuses when developing new residential communities is a priority to preserve as much natural green space as possible and retain the natural landscape of the property. The end result is an attractive new community incorporating a park-like setting. The Sommers Real Estate Group was also a major sponsor/donor for the 2015 YMCA Dream House and worked very closely with community and YMCA officials to coordinate and assist with the construction of the home and surrounding property. Sunset Woods was developed as 11 residential home sites in Hambden Township, Ohio. Sunset Woods was developed to utilize the natural topography and features of the property to create very scenic home sites. Somerset Woods consists of 18 residential lots less than 1.5 miles from the Historic Chardon Square in Chardon, Ohio. This community was planned to preserve the natural look and feel of the property prior to development and maintain as many natural features as possible. The property also features a multitude of natural ponds/wetlands that were preserved during development. Bates Creek features 18 residential home sites in Hambden Township, Ohio. Bates Creek features very heavily wooded home sites and was developed to utilize the natural topography and features of the property to create very scenic home sites. As with every community that The Sommers Real Estate Group Develops, every effort is made to preserve as many trees/natural features of the property as possible. Nottingham Woods presented 35 residential home sites in Munson, Ohio. Nottingham Woods was developed to utilize the natural topography and features of the property to create very scenic home sites. There was a multitude of home sites with unique features, some with steep cliffs and rolling hills, and some with open meadows and fields. There is a multitude of natural features on every home site within the community. Tanager was developed as 34 residential lots featuring heavily wooded lots with extensive natural green space. This community has home sites with natural features preserved. Gabriel’s Way is a new residential community located in Concord Township, Ohio. The planning for this project also involved a major re-zoning process in order for the community to be properly planned and built. A significant portion of the property was zoned for business use. Similar to the Concord Ridge scenario, we worked closely with community representatives to successfully re-zone the property prior to development. Previous experience with the re-zoning process has proven to be an essential factor in being able to complete the re-zoning process in a time efficient manner and at the same time, satisfying community leaders and residents. Falling Waters in Munson, OH consisted of 26 residential lots featuring heavily wooded lots with extensive natural green space. Falling Waters presented park-like home sites with rolling hills, cliffs, and ponds. Our engineer and staff worked very consciously to maintain as many trees and natural features as possible. Almost every home site was able to be strategically positioned so that it could be constructed as a walk out basement capable site. Sugarbush was developed as 21 residential home sites in Hambden Township, Ohio. Sugarbush features very heavily wooded home sites with several streams and creeks present on the home sites. Sugarbush was developed to utilize the natural topography and features of the property to create very scenic home sites. Highland Meadows was developed as 8 residential home sites in Chardon, Ohio. The community features a mix of woods and meadows. 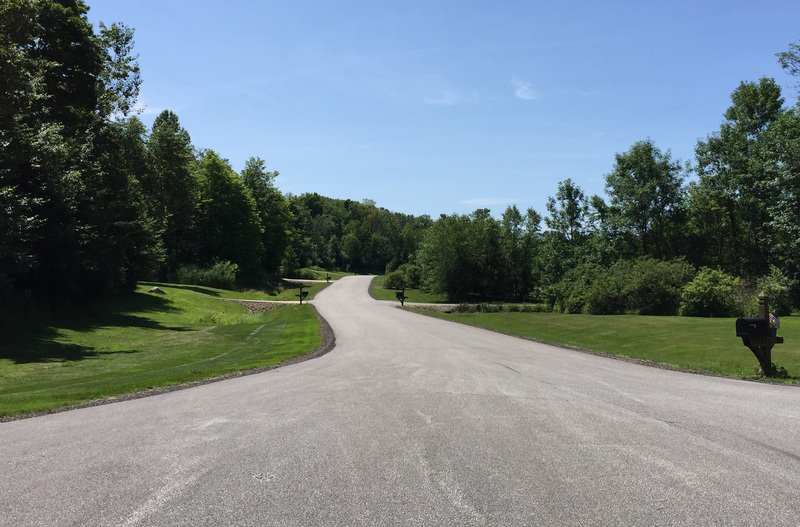 Brakeman Meadows presents 4 residential home sites in Hambden, Ohio. The community features wooded home sites with rolling natural topography. Big Creek presented 33 wooded residential home sites in Chardon, Ohio. The community features rolling natural topography with a multitude creeks, streams, and ponds. Big Creek is in close vicinity to Big Creek Reservation, part of The Geauga Park System. 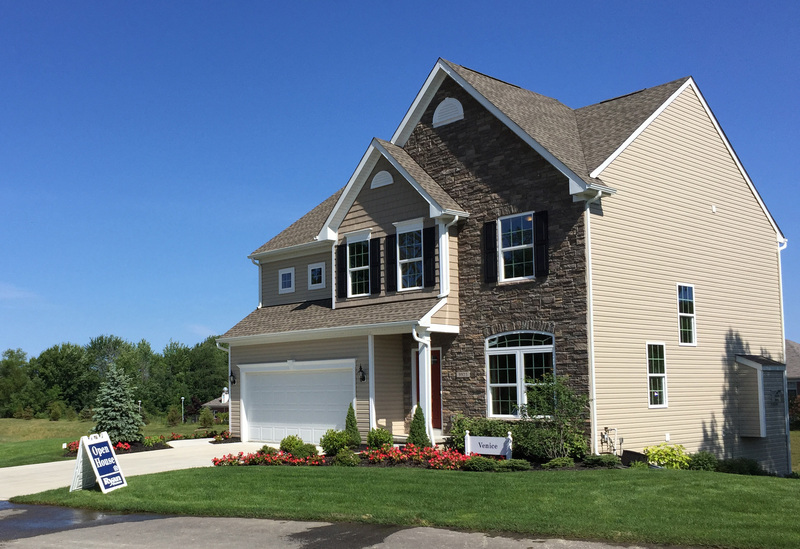 The Preserve at Stonewater presented 31 residential home sites in Auburn, Ohio. This property was a previous fish hatchery and featured over 50+ lakes/ponds along with a multitude of streams/creeks. The community featured a wooded rolling park-like setting and almost every home site featured a lake/pond. As with all communities that we develop, a very strong emphasis was placed on preserving as many natural features of the property as possible. As part of the conservation development plan, a conservation easement was implemented to protect all of the lakes and ponds on the property. Somerset Meadows was developed as 24 residential home sites. The community features home sites that are heavily wooded on a cul-de-sac street. Harvest Ridge features 18 lots that adjoin La Due Reservoir and park in Auburn, Ohio. Several of the home sites are connected to The La Due Reservoir which is a 1,000+ acre lake/reservoir. The community features lots with a mix of open meadows and heavily wooded areas. Fox Crossing presents 22 wooded residential home sites in Auburn, Ohio. The community features rolling natural topography with a multitude of creeks, streams, and ponds. The property is adjacent to The La Due Reservoir, a scenic 1,000+ acre lake/reservoir. 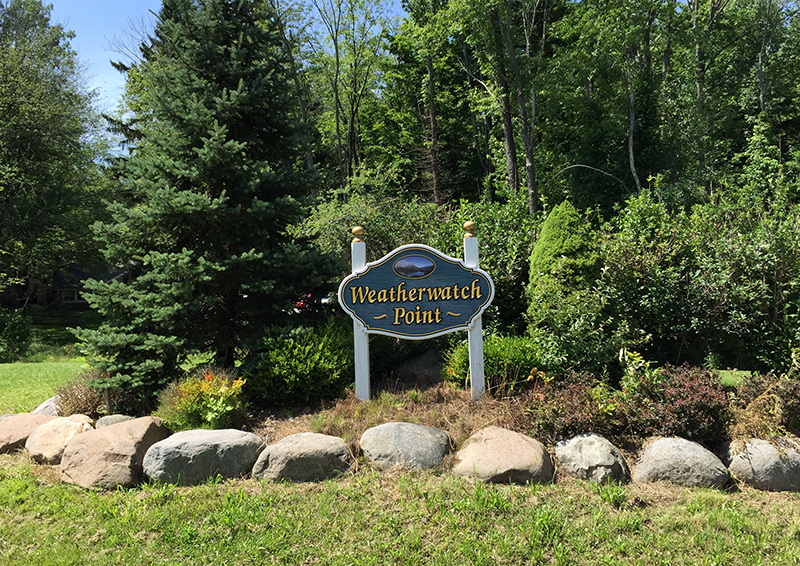 Weatherwatch is a beautiful park-like community that is adjacent to several hundred acres of Geauga County Park District Property at Big Creek Reservation. All the lots are heavily wooded with significant natural topography. Several home sites had a large creek running through the rear of the property.